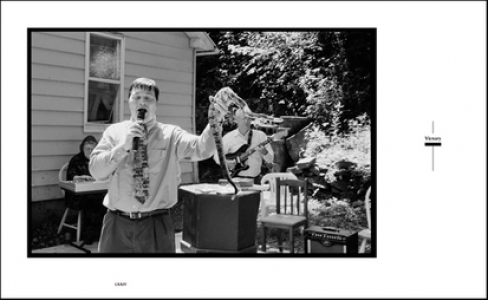 Striking limited edition, black and white study from one of America’s foremost documentary photographers. This work by documentary photographer Hunter Barnes provides a unique and intimate portrait of a small community of Serpent Handlers in West Virginia. This devout way of life finds its roots in the King James Bible, with followers believing that the literal interpretation of passages of Mark and Luke regarding handling poisonous serpents and drinking lethal poisons is central to their faith. With lyrical reflections accompanying his photographs, Hunter’s sensitive study brings beauty and understanding to a perhaps misunderstood practice. In recording this slowly diminishing community, this photographic collection also provides a valuable service to the cultural history of the United States. 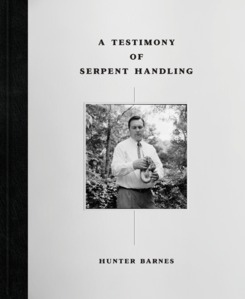 A Testimony of Serpent Handling is a limited, numbered edition of 1000, which is available as a Master or Deluxe Edition. Master Edition: 900 copies. £50/$75. Deluxe Edition: 100 copies. £650/$950. Includes Super 8 film shot by Hunter + signed, numbered, ltd ed. silver gelatin photograph by Hunter. Presented in slipcase. 280 x 230 mm / 11 x 9 in. 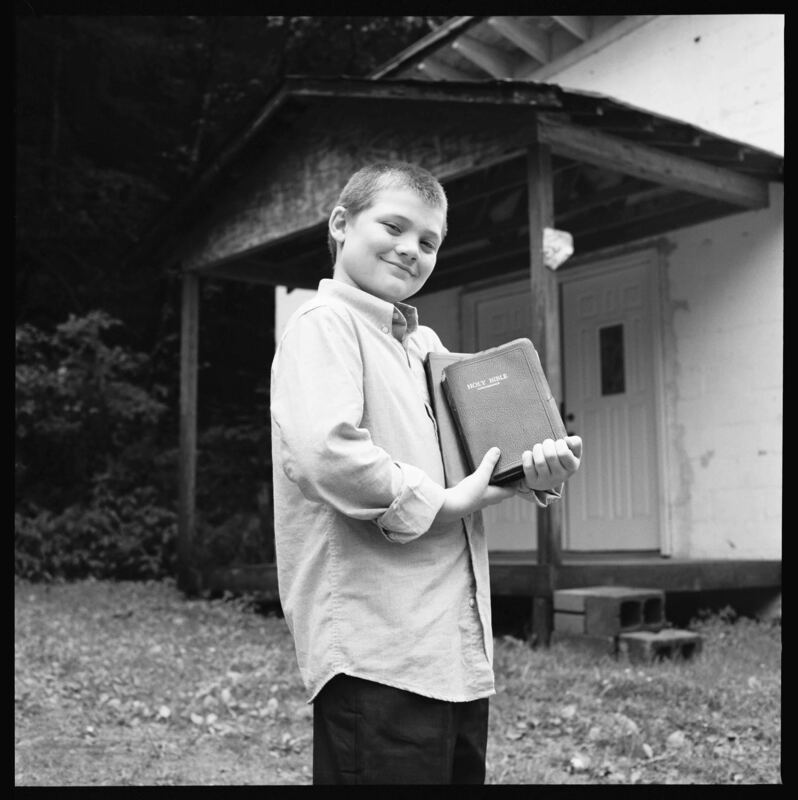 Hunter Barnes is a documentary photographer who is renowned for his artistic ability to capture groups of people who exist outside mainstream American culture. 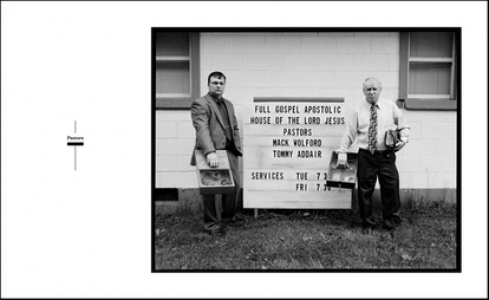 He shoots exclusively on black and white film and prints his own work. 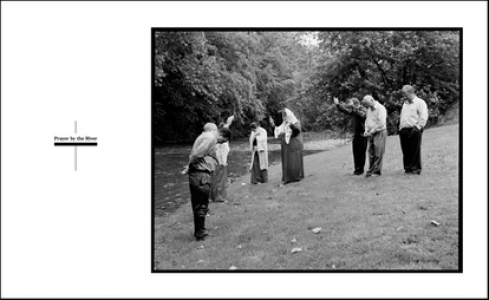 He has mounted several solo exhibitions of his work and his silver gelatin prints are highly sought after by collectors. 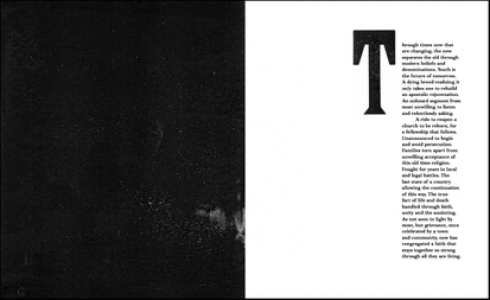 This limited edition book release will coincide with his latest exhibition at Milk Gallery in New York. To visit Hunter Barnes Photography, click here.